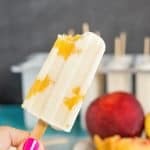 These 3 Ingredient Peach Yogurt Popsicles are made with fresh peaches, yogurt, and milk. They’re yummy, easy to make and the kids will love them! Place peaches in a food processor or blender and process until peaches are a chunky but fine consistency. Taste, add optional sugar if necessary. Combine milk and yogurt in small bowl. 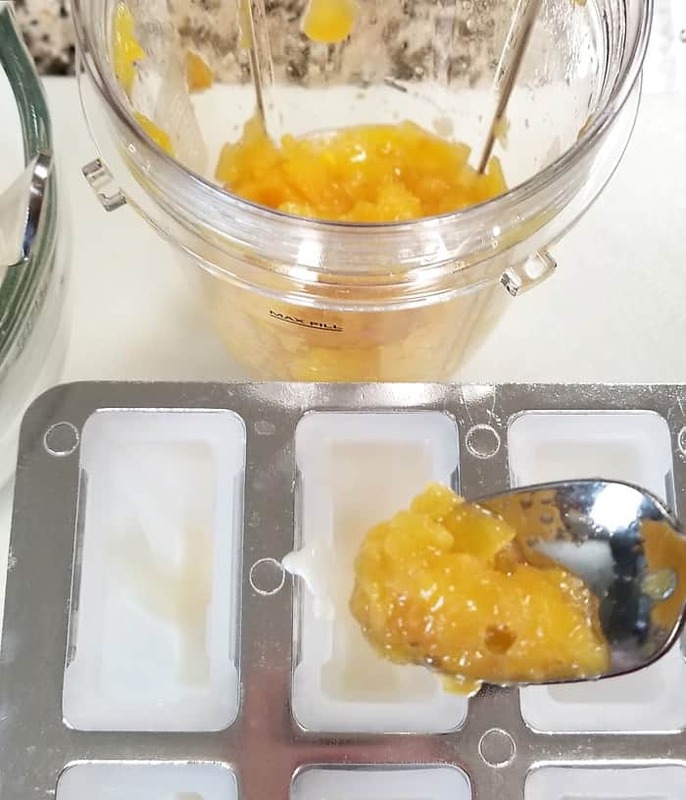 Spoon a few tablespoons of the yogurt mixture into the bottom of your popsicle molds. Add a tablespoon of the peaches over the yogurt layer. Add another layer of yogurt over the peaches. Top with more peaches and another layer of yogurt. Close tray and freeze for 6 hours or overnight. 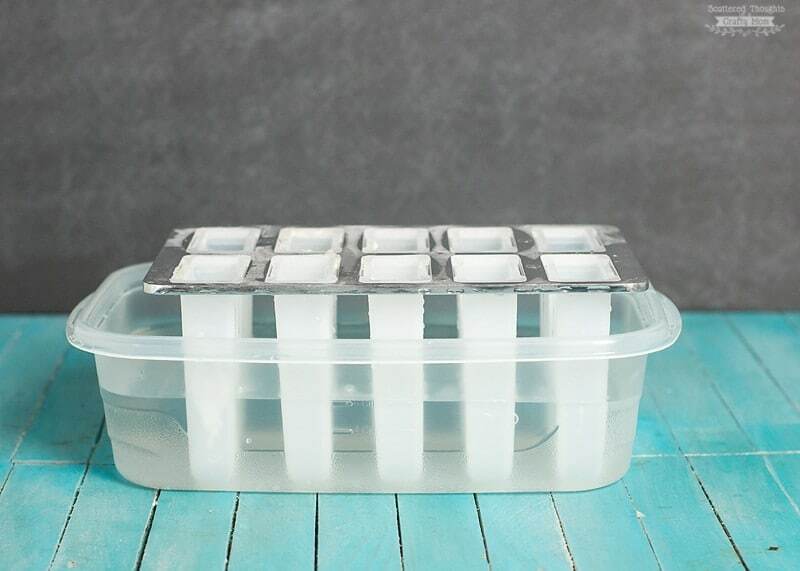 For easy release from the tray, submerge the bottom of the popsicle mold in a container of warm water for a minute or two and the popsicles will slide right out. nutritional values computed with low-fat yogurt, 2% milk, no extra sugar.